Present Music revives five works it commissioned, two by Milwaukee natives. Present Music kicks off its 35th season this Saturday evening at the UW-Milwaukee Zelazo Center with a concert celebrating a critical mission of the organization – commissioning and performing new music. All five works have been Present Music commissions. One is new. The others are selected from the over 50 commissions during the past 35 years. Saturday’s concert demonstrates the wide variety of contemporary music Present Music has championed. Madison native Ryan Carter will be in attendance for the premiere of his new work, “On a better filtering algorithm.” His new work for string quartet and percussion incorporates lessons from his extensive work with electronic music. Present Music Executive Director Meaghan Heinrich suggests that his experience leads to a certain precision in his non-electronic compositions. Jerome Kitzke will return to his hometown of Milwaukee as the soloist for his work, “Haunted America.” Written in 2002 in response to 9-11, this work leaves a mixed impression. Strini wrote the notes for the premier CD. “It is neither elegiac nor jingoistic, but a boisterous and fantastical rush of dark humor, bounding dances, ecstatic beauty, spellbound meditation, rhythmic glossolalia, maniacal laughter, hushed hymn and ardent lamentation.” Heinrich suggests that the text is a “reflection on any sort of turmoil,” suggesting that the listener consider what haunts Milwaukee today. 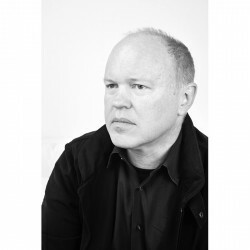 Michael Torke. Photo by Bryan Haner. Michael Torke grew up in Milwaukee; graduating from Wauwatosa East High School. His Four Proverbs extract basic rules to live by from the text of verses from the Old Testament book of Proverbs. The clever selections are subsumed by the music. Torke observes, “The one-to-one relationship between words and music may seem abstract at first, but it has been my experience that a listener remembers words better when there is music attached (think of advertising jingles) and a tune is recalled more readily when particular words associate with the contours of the given melody (a chorus of a pop song, for example).” The result is a rhythmic, pleasant word play. Alisa Jordheim, soprano, will perform Four Proverbs. This marks the start of a busy season. She also will be singing with the Milwaukee Symphony Orchestra in the opening Marriage of Figaro concert and in the Florentine Opera’s opening show: Sister Carrie. Kamran Ince, by way of Montana, Turkey and Tennessee, has become a favorite son of Present Music. Present Music has commissioned several works and issued a series of CD’s of his music. His work, “Arches,” is one of many that explore connections between architecture and music. (Others include “Domes,” “Curve,” “Line” and “Flight Box.” The last was commissioned for the opening of the Milwaukee Art Museum‘s Calatrava addition.) “Arches” is not just symmetrically composed. Heinrich observes that the work is “about the feeling of awe … the spaciousness you feel experiencing those shapes.” The mixed ensemble, rather than contrasting the instruments, move together in a way that produces new colors. There is a symmetry. Ince explained, “I was specifically thinking of the arches that rise up to the domes of the monumental mosques, basilicas and cathedrals. For me these arches are perpetually longing for something – rising and descending, again and again.” Slower phrases increase in density and pace as the listener senses the structures Ince portrays musically. How do commissions happen? Local sponsors contribute to the process. Jan Serr and John Shannon have frequently supported commissions. “We feel that music and new music is a part of our lives and should be a part of our time,” Shannon observes. “We only have many classical works because someone has commissioned them.” Serr and Shannon have also supported early music. “A lot of the older music is so rarely performed that it is like new music.” Sponsoring CD’s has been another way to ensure a longer life for new works. Commissions for this Saturday’s concert include Kevin Stalheim for Torke, Reed and Nancy Groethe for Friar and Nancy Laskin for Kitzke. The Carter and Ince works were sponsored by groups of contributors. Now a formal vehicle, the Present Music Commission & Special Projects Club contribute to the creation of world-renowned new music by pooling their resources and interests. The concert will be presented at 7:30 p.m., September 3rd in the Helen Bader concert hall at the Zelazo Center on the University of Wisconsin-Milwaukee campus (2419 E. Kenwood Blvd). Tickets are priced from $15, $25 and $35 and may be purchased at www.presentmusic.org, at (414) 271-0711, Ext. 5 or at the door. Student tickets are half-price. A post-Made for Milwaukee concert will feature Milwaukee glam/party rockers, Tigernite. The post-concert is included in the Made for Milwaukee admission. But plan to come early for pre-concert events. Starting at 6:30 p.m., composer Ryan Carter will lead a hands-on demonstration of his interactive iPhone app – “iMonkeyPants,” staff of the Betty Brinn Children’s Museum will bring a series of musical experiments for visitors, including an electronic chord modulation synthesizer kit and Present Music displays will highlight the organization’s 35-year history in Milwaukee through pictures, music, and maps. The next Present Music concert returns to the Milwaukee Art Museum on October 21st. The program dovetails with the Art Museum’s fall exhibit, “Haunted Screens: German Cinema in the 1920s.” Information on this program and all six seasonal concerts may be found here.